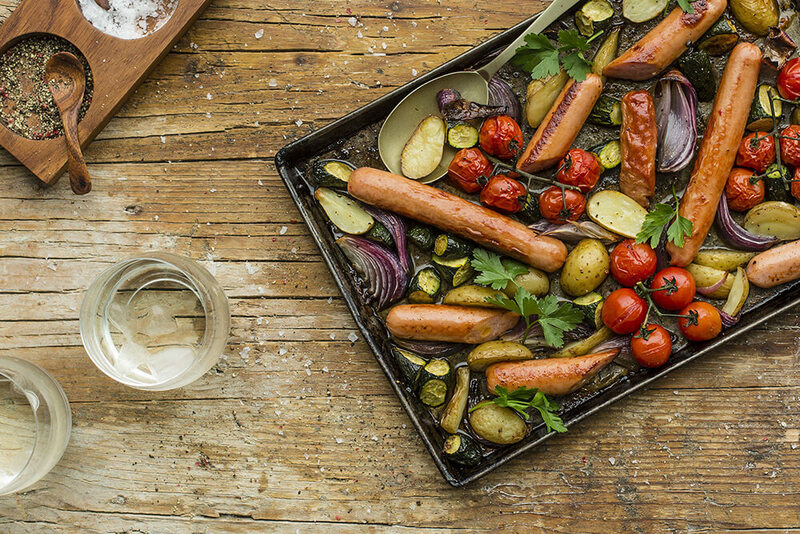 This delicious tray bake takes the hassle out of getting dinner ready quickly. A real crowd-pleaser and easy for a busy parent, too. Serve with mashed pumpkin or zucchini noodles for a complete meal showstopper! Place all the ingredients in a large bowl and toss the ingredients until they are fully coated in the oil and vinegar mix. Spoon onto a large prepared roasting tin, spreading the ingredients out into one even layer and ensuring that the viennas aren’t covered by any of the vegetables. Return to the oven for a further 15-20 minutes or until browned and the sausages are cooked and the potatoes tender.